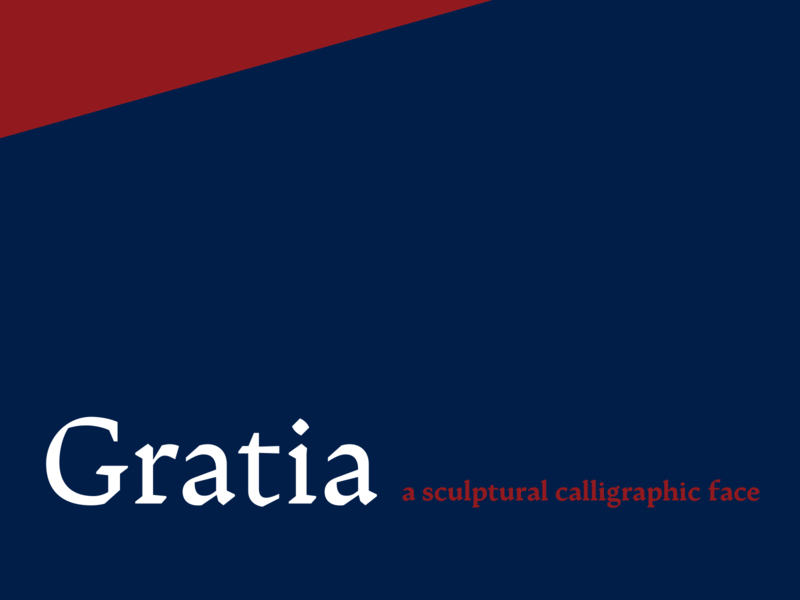 Gratia is a sculptural calligraphic typeface that I created during my five weeks at TypeParis. 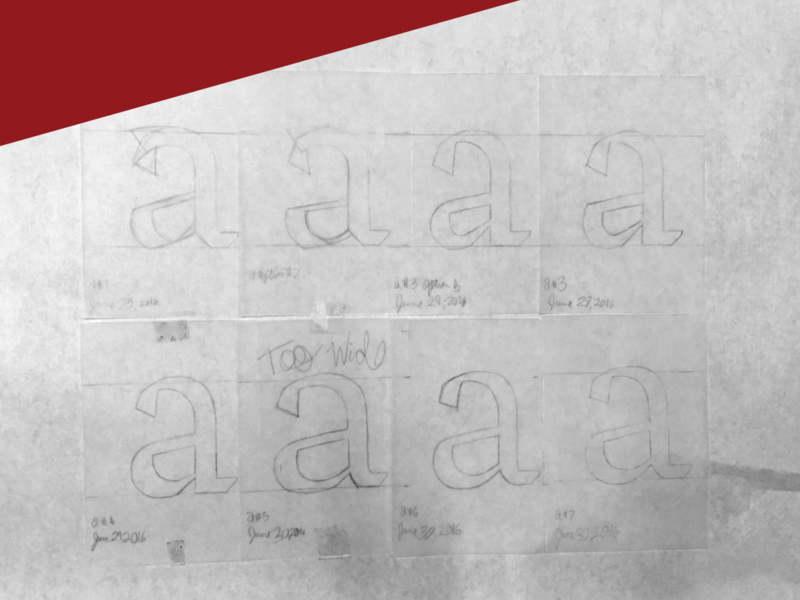 Below I outline my goals for Gratia and an overview of the process I used to create this humanistic serif. 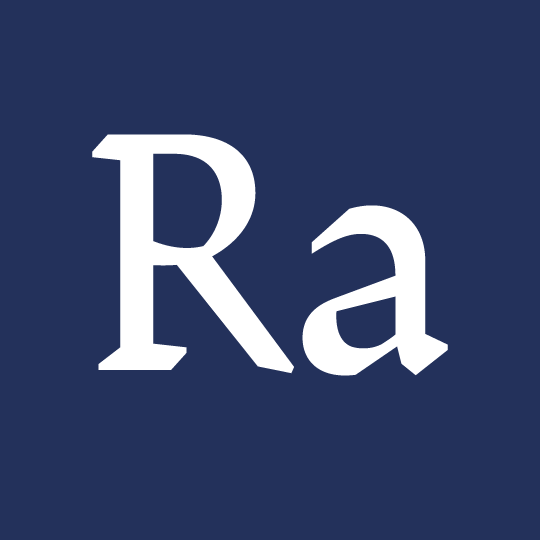 As I outline, the process I followed gives Gratia its calligraphic yet sculptural feel, a typeface that lives in the modern world with strong links to the past. My goal at Type@Paris was to learn the proper process for creating a humanist serif. Our first week was dedicated to learning calligraphy. Upon beginning the process, I knew that I wanted to create a body text that had a strong link to calligraphy. After practicing drawing these forms with a broad nib pen we subsequently scanned the drawing and blew them up so that we could start redrawing the form using tracing paper. This was the start my typeface. The tracing paper allowed me to keep the contrast I originally drew while allowing me to reinterpret the original form, weight, serifs, and axis. The challenge I faced while creating Gratia was keeping the calligraphic aesthetics while having the typeface feel contemporary. To overcome this, I needed to find a balance between keeping unique characteristics while removing superfluous ones. 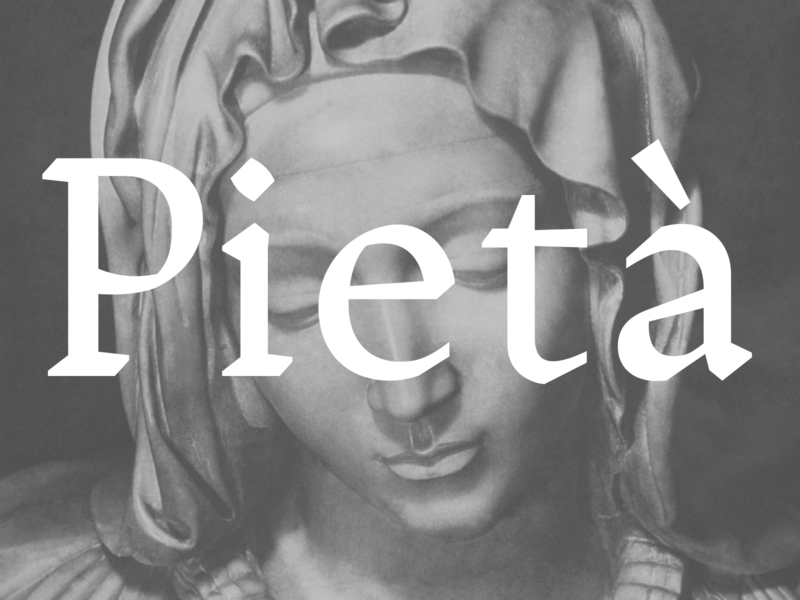 It’s this act of chipping away at the excess that inspired Gratia’s calligraphic yet sculptural feel. This was the most satisfying part of the process, chipping away at the excess detail and seeing Gratia appear. I needed to view the system as a whole and found a strong visual language using the tension between the sharp angles and curves paired with bold serifs. This gave Gratia its identity and a set of rules. 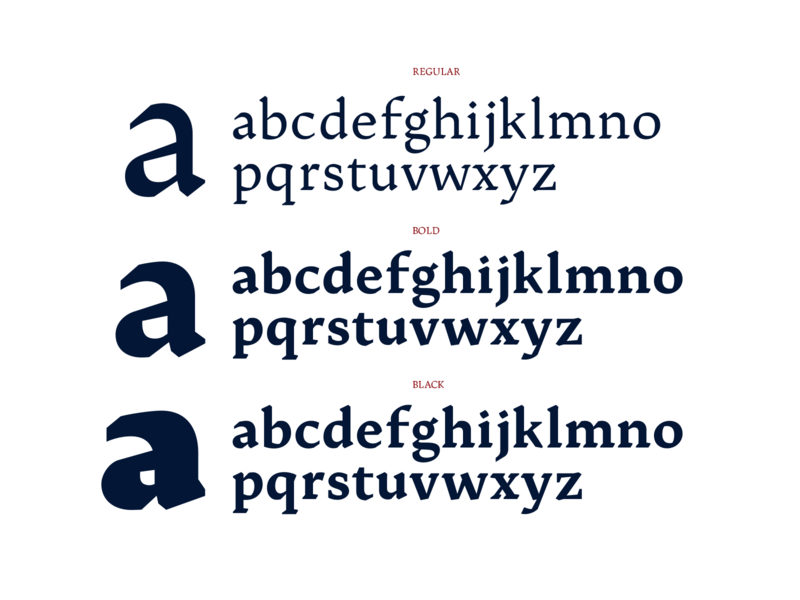 I implemented these rules on each letter, giving Gratia a consistent look and feel. Once the regular weight was developed, I moved on to create the black weight. Here I amplified Gratia’s characteristics, which was an exciting process. 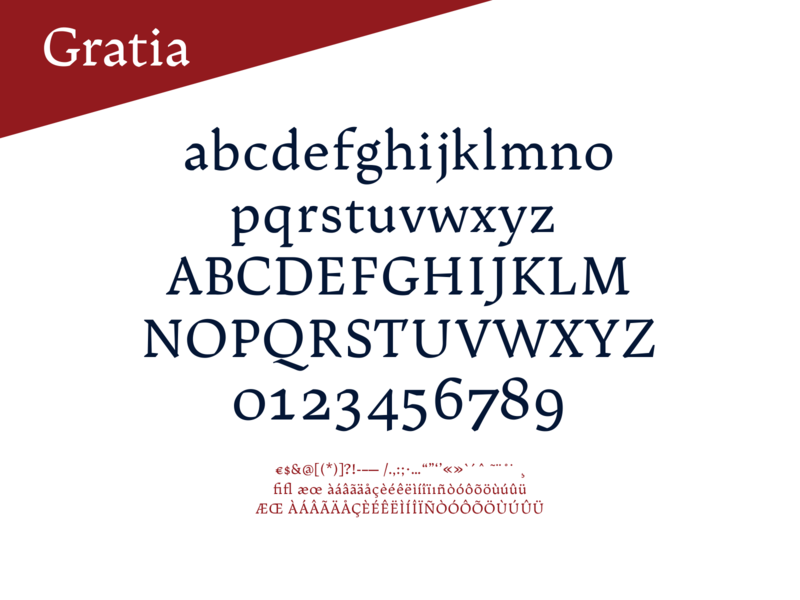 Currently Gratia comes in 3 weights, regular, bold and black. Moving forward my goal is to complete the full glyphs sets for all three weights and create an Italic. I would like to thank the core team of instructors: Jean François Porchez, Mathieu Réguer, Julien Priez, Xavier Dupré, Alice Savoie, the guest critics and speakers for their inspiration, guidance and knowledge they imparted throughout this experience. I am thankful for being selected for TypeParis16. It was a wonderful learning experience, and I am excited to continue to develop my typeface.